Our company begins its commercial life in 23 April 2004 with sound and lighting projects. In 2005 we begin our research and development studies in order to make Projects in entertainment and architectural lighting. Result of our studies we begin to manufacture our own product in our own workshop. Our research and development studies are our pillar stone of our success. In 2014 Due to growing demand to our products and our growth target, we have begun mass production in our 3000 m2. Our company manufactures its product in military grade machines and technology with its expert staffs including engineers, technicians and architectures. 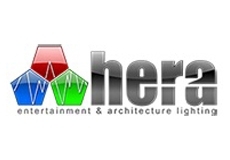 In present day our all products’ all mechanical parts, design, software and production are made by Hera LED. Our components are compatible to use in industrial environment and each of our components are provided after various quality tests. Production is done with great precision and professional tests. Our machines those used in production are high technology and military grade machines. Working and storage conditions are according to ESD order. Hera LED has ISO 9001 quality management, ISO 14001 environmental management and OHSAS 18001 occupational health and safety assessment. All of the products are internationally tested in accredited laboratories and are constantly inspected and conducted. In our facility, we produce lighting fixtures and control unit that used in entrainment and architectural lighting. All of our products are produced tu use in professional means, controlled by DMX 512 and RDM protocol in order control and communication with each other. These features make our products in world standard. We have professional products for all kinds of different concepts and working conditions in international standards for exterior lighting systems. Our system is controlled by MADRIX hardware and software which we are main distributor in Turkey. We have more than 300 medium and large scale projects on this day. Our aim is to produce our products with international quality standards from the beginning, to present our products to the world market which will always make a difference in innovative and professional level in the sector, and to be one of the global brands that are considered to be the sector. We take great care in ensuring that all measures to be taken by our employees in order to protect their work safety and health and protection of their job security are taken at the highest level, evaluating in-service training opportunities and ensuring the satisfaction and happiness of our employees. Our export targets have been started with our mass production capacity and our rising quality products, and distribution of our products has been started on the world market with the distributor network established since 2017. It is always producing innovative and professional level production and paying by producing the products developed by Turkish engineers internationally and presenting them to the world market.